Class Size is Limited. You must Register for this class. Please bring a eye pillow and yoga mat if you have one. Thank you! 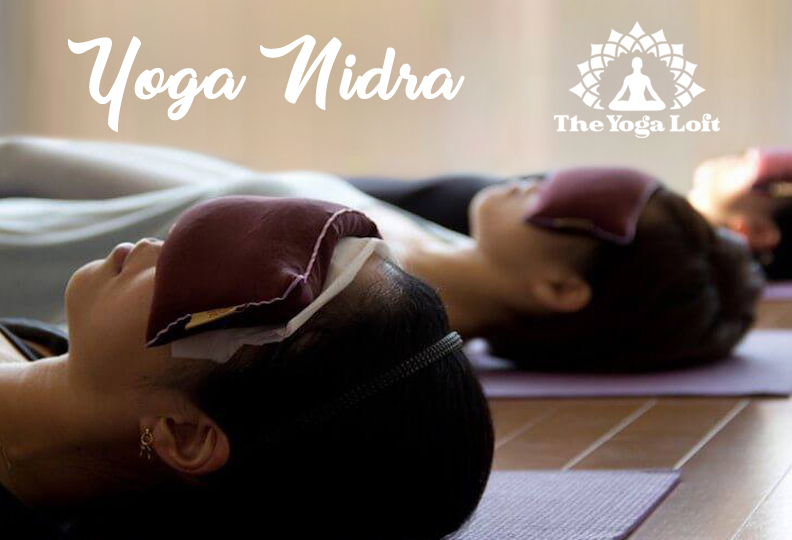 Yoga Nidra, also known as “Yoga Sleep” is the art of conscious relaxation. During this practice you will reach new states of conscious awareness with acute perception of both your physical and subtle body. As you practice these techniques you will feel the flow of prana (vital life force) move through physical, emotional, and energetic blockages. The end result is the healing of the body and mind and the expansion of consciousness. This practice induces complete physical, mental and emotional relaxation. In Yoga Nidra, the state of relaxation is reached by turning inwards, away from outer experiences. If the consciousness is separated from external awareness and from sleep, it becomes very powerful and can be applied in many ways. This ancient yogic technique of relaxation is used to remedy suffering from anxiety, stress, PTSD, insomnia, cancer, and many more illnesses and conditions. Studies have shown that one hour of Yoga Nidra is equivalent to 4-5 hours of sleep.